In today’s podcast interview, I discuss why conventional medicine has failed to address chronic disease and what we can do about it—as individuals, as healthcare practitioners, and as a nation. The stakes are enormously high. Chronic disease is destroying our quality of life, shortening our lifespans, bankrupting our governments, and threatening the health of future generations. Read on to hear my thoughts about about the future of medicine and healthcare in the United States, and beyond. How do we pay for this? Is it scalable? Special offer for RHR podcast listeners – get the audiobook free if you buy the book by November 12th. Chris Kresser: Hey, everybody, Chris Kresser here. Welcome to another episode of Revolution Health Radio. Today we’re going to do something a little different. I am bringing on a guest host, Tony Federico, he’s the VP of marketing for Natural Force Nutrition, a physiology editor for the Journal of Evolution and Health, and a longtime contributor to Paleo Magazine, and also at Paleo f(x), which is where I met Tony, I think, originally, and I have interacted with him the most. And he’s moderated several panels that I’ve been on and I’ve always been impressed with the way he’s done that, the intelligent questions that he asks and just his balanced perspective on ancestral health and Functional Medicine, and this movement overall. Today is the day that my new book, Unconventional Medicine, comes out. It’s now available on Amazon, and I wanted to ask Tony to come take over the podcast and talk with me about the book because I know he’s really interested in all these topics and he’s read quite a bit of the book himself, and I thought it would be more interesting to have a conversation about it than for me to just sit here and do a monologue. So Tony welcome to the show and thanks for being here. Tony Federico: Yeah, thanks for inviting me on, Chris. It’s always fun, when we’ve had the chance to chat, as you said. Whether in person or on podcast, I’m always happy to jump in and dish on health with you. Chris: Fantastic. So, you have read a little bit of the book and we chatted a little bit about it via email, so let’s dive in. Let’s talk a little bit about this book. And for me it was really, it felt like the most important next step that I could take in order to get this message out about ending chronic disease. Tony: Yeah, I got my copy of Unconventional Medicine a couple days ago. I just so happened to have some time off yesterday, and the next thing I knew I was 80 pages in. Tony: So, I have to say that, as somebody who’s been in the trenches, I worked as a personal trainer for 10 years, I could really relate to a lot of the things that you were saying in the book, and we’ll get into why a little bit later on in the interview. But you know I just am really impressed with what you put together here, Chris. So let’s just, let’s get into it, and the first thing that I actually wanted you to maybe tell me a little bit about was how you open the book, which I think is a really great story about a patient named Leo. So I wanted to talk a little bit about Leo and his story and kind of how that inspired you to go down this particular path of unconventional medicine. Chris: Sure, yeah. So, Leo was an eight-year-old boy that I treated in my clinic a few years back, and I wanted to start with his story because it’s, unfortunately, a typical story, much more common than, of course, we would like. And it was powerful for me, it was a powerful experience. It’s what actually led to me writing this book. So, like way too many other kids of his age, he was suffering from a number of behavioral issues. He was initially diagnosed on the autism spectrum. Eventually they settled on OCD and sensory processing disorder. He would throw these just crazy tantrums where he’d end up crying or screaming inconsolably, writhing on the floor, and this would happen for seemingly the simplest of reasons. Like trying to get his shoes tied as they were going out the door, not cutting the crust off his sandwich in just the right way or getting a stain on his favorite T-shirt. And he was really rigid around his behavior and its environment, everything had to be just right, just the way he wanted it to be, or else he would fly off the handle. Is a new healthcare paradigm affordable? Scalable? You bet. His diet was extremely limited, he only ate a handful of foods, pretty much all of which were processed and refined. So crackers, bread, toaster waffles, that sort of thing, and this is part of the kind of OCD-like tendencies. And any time his parents would try to introduce new food, he would go totally ballistic. And they were worried about nutrient deficiency, but they didn’t feel like they … they were just worn down. Any parent who has a kid like this will understand that. It’s just they didn’t feel like they had the resources to battle him at every meal. And they took him to a bunch of doctors locally, and that’s where they got those diagnoses. Initially they were kind of relieved to have those, but then after a while they realized that they were just simply labels for symptoms. And when they asked what the treatment was, you can probably guess the answer: medication. Tony: Something to do with drugs. Chris: Something to do with drugs. Yeah. And when they asked how long he would be on that treatment, you can probably also guess the answer. Tony: The rest of your life. Chris: Yeah. Shrug of the shoulders, indefinitely, maybe he’ll grow out of it, that sort of thing. And they weren’t excited about the idea of of medicating their son, but they were also aware of how much he was suffering, and they were suffering, frankly, too. They decided to give them a try, starting with Adderall, and then they progressed to Ritalin and then antidepressants. And certainly the drugs did seem to help with at least some of the symptoms, but there were a couple issues. Number one, they also caused some very intractable side effects like headache, abdominal pain, irritability, and most significantly, severe sleep disruption. And they had a couple of other kids that were younger than Leo. So they were not happy about the sleep disruption. Nobody was because it was brutal for them and also brutal for Leo. Kids need a lot of sleep, and if they’re waking up throughout the night, that’s going to make … So that was in some ways worse than the original symptoms they were trying to treat. And then Leo’s mom had done quite a bit of research on the effects of these medications and she was scared. Particularly for children and adolescents, some of these drugs have some pretty scary side effects and long-term risks. So what really stood out to me, and I mentioned this in the book, is that not once during this entire process of seeing all these different doctors, primary care provider, psychiatrist, eventually behavioral disorder specialists, did anybody even hint at the possibility that something in Leo’s diet or some other underlying issue like a gut problem or nutrient deficiency or heavy metal toxicity or something like that could be contributing to his symptoms. It wasn’t even broached as a possibility at any time. Fortunately, Leo’s mom, one of her friends followed my work and sent her a couple of articles from my blog. One was on the gut–brain–axis, and I think the other one was on the underlying root causes of behavioral disorders. And so that’s what led them to bring Leo to see me, and long story short, we were able to … we did a bunch of testing, found issues that you might guess at. So, disrupted gut microbiome, SIBO, fungal overgrowth, gluten intolerance, but also intolerance of soy and corn and rice and buckwheat, which were major ingredients in a lot of the processed and refined food products that he ate, and arsenic toxicity because rice milk was the only other beverage he would drink aside from water. And we know that rice products can be high in arsenic. So, we, over several months, it definitely wasn’t easy to address these problems because of his OCD-like tendencies and his picky eating habits. But after several months he was like a different kid. His teacher even called home and was like, “What have you done with Leo and who’s this kid that you’re sending in?” Because it was a big issue for her. They often had to come to school and pick him up early because of the behavioral problems. And his diet expanded; he was eating foods he would’ve thrown against the wall just months before, he was more tolerant of disorder, more relaxed in his environment. They were able to travel for the first time in a long time because he wasn’t so anxious in unfamiliar environments. His physical symptoms had improved significantly. So they were just over the moon. They couldn’t believe it, and toward the end of our treatment together, she said something that really struck me, which was there’s so many kids out there that are like Leo and they’re suffering, they’re not finding help in the conventional system. Chris: And their doctors and parents are not even thinking about this stuff. Like it’s not even in most people’s consciousness that if a kid has a behavioral disorder that you should look at these physiological issues. It’s not, for 99 percent of people they don’t even go there because they don’t know. Tony: Yeah, I mean I think that that was—reading about Leo and reading about a story and certainly there’s people that I’ve known, myself included, who have had very similar experiences—I think it’s great to have a narrative like this that you can really connect to because then when you tease it apart, all the pieces really make sense. It makes sense why having doctors treat symptoms has failed, it makes sense why a lack of communication between the health provider network that was supposed to be serving Leo failed. It makes sense why it didn’t work when you actually start to tease it out. But then we’re still all, well not all, but most of us are still going down this path and it’s an exercise in futility, really. You have an eight-year-old kid who’s on powerful stimulant medications, he’s on antidepressants, and it was bad enough for his parents to reach out and to seek those interventions as solutions, and then the side effects are even worse. And that’s just something that just gets you right in the heart. And like you said, he’s not the only one, he’s not the only kid. His parents are not the only parents. And frankly, his doctors are not the only doctors because I can guarantee you that that probably doesn’t really feel good for the practitioner, for the healthcare provider to not get results as well. And they’re working with what they’ve got. Tony: And trying to use the tools they have. Chris: Yeah, I mean, let’s be clear about this. Everybody is doing the best they can in this situation. The parents are doing the best they can, in the vast majority of situations, parents just love their kids and do everything possible that they can to help their kids thrive. I’m a parent, I know that that’s how I relate to my kid. I know that every parent I know, that’s how they relate to their kids. And I would even, I would say that’s true for doctors too. The vast majority of them are trying to do the best they can with the tools that they have and in the system that they’re working within. And that’s the rub. Chris: It’s like most doctors I’ve seen have been caring and they’ve wanted to do the right thing, but the question is, can they do the right thing in the conventional medical system as it exists today? And, of course, that’s largely what the book is about. Tony: Yeah, so let’s kind of speak to that specifically. And we’re talking about doctors, we’re talking about medical professionals, we’re talking about patients, and then we didn’t mention it, but where I fit into this formula or potential formula as an allied healthcare provider, as a personal trainer/health coach, is that your audience for this book, do you really see that kind of triad is who you’re speaking to here? Chris: Yeah, definitely. I think if you look at the cover of the book, the subtitle is “join the revolution to reverse chronic disease, reinvent healthcare, and create a practice you love.” So that last bit would suggest that it’s mostly for practitioners, but that’s not true. It is really for anybody that is interested in the ideas of reinventing healthcare and reversing chronic disease. And, in fact, I would argue that that change is going to be initiated by people, primarily by people that are not practitioners. So it’s like a grassroots, bottom-up approach, where a good example is with my training program, my ADAPT Practitioner Training Program, now that we’ve been training practitioners in this approach for the last couple years, we always ask people how they learned about my work or how they learned about the training program. And in a surprising number of cases, the answer is from their patients. So these doctors or other practitioners, their patient brings an article in that I wrote or brings something in, tells them about me, and to their credit they’re open-minded enough to go and check it out. And then they like what they see and they end up taking the next step. So people even who have no intention of ever becoming a healthcare practitioner, I think would really benefit from this book if they’re interested in these ideas. And then certainly, as you mentioned, licensed healthcare providers like medical doctors or nurse practitioners or physician assistants that are currently working within the conventional paradigm but have already seen its limitations and want to do something different but don’t yet know what that might look like. And then people who are outside of the conventional paradigm but are already practitioners, so acupuncturists, chiropractors, naturopathic physicians, etc., in many cases they’re already well aware of the limitations of conventional medicine, which is why they chose to go down a different path. But speaking personally as an acupuncturist myself, I also saw some limitations in the traditional Chinese medicine approach, or at least some differences in the way that I wanted to practice it. I was looking for something that could incorporate modern diagnostic testing and create a more systematic approach that included ancestral diet and lifestyle and some of the other things we talk about in the book. So, I think many of those practitioners can benefit from the book from that perspective. And then you have the growing and already large number of people like yourself who are personal trainers, health coaches, nutritionists, etc., who I really think are going to play an increasingly important role in this revolution to reinvent healthcare. Tony: Yeah, it so important now for people to really, for patients to be their own advocate, and I don’t think we’re living in a time where I remember with my grandparents—if your doctor said something, it was basically gospel and you didn’t question it and you didn’t think about it. Now, the first thing people do when they experience a symptom, it’s Dr. Google first. So it’s super important to equip and arm patients with good information, which I think this book does. Here’s a path, here’s a path forward for you as a patient. But then it’s respectful of the role of doctors, and you highlight many situations where conventional medicine is great. If you break your arm or get in a car accident or have a heart attack or whatever the case may be, yeah, you need a doctor, and you need to go to an emergency room and you need those types of interventions. But it’s really in this kind of gray area, it’s really not gray, it’s actually quite clear. And we could probably specify a little bit more, but there’s this middle zone where somebody’s not acutely injured, they’re not acutely in a disease state. They’re in a chronic disease state, or they’re just unwell. And it’s hard for a system that is all about pharmacological interventions, surgical interventions, to deal with a more subtle approach. And that’s where that whole middle ground and acupuncturists and massage therapists and everybody who’s in that middle zone. I had clients constantly when I was actively training, constantly asking me questions where I was like, you know what? This is really something they maybe should be taking to their doctor. But guess what? The doctor only has 15 minutes under pressure to see as many patients as they can. I had a friend who was a physician in France. And he was telling me about their medical model, and he would spend tons of time with his patients. And it was actually incentivized for prevention. And here we see some maybe misplaced incentives, and perhaps you can speak a little bit more about that. Chris: Yeah, so, going back to your original comments, I think that the most important thing for people to understand is that our medical model, when it comes to our medical paradigm, is that it evolved during a time when acute problems were the biggest issues. So in 1900, the top three causes of death were all infectious diseases, tuberculosis, typhoid, and pneumonia. And the other reasons people would see the doctor were among those you mentioned, like a broken bone or a gallbladder attack or appendicitis. Chris: Right, specialists, they’re taking multiple medications in many cases, and they’re going to be taking those medications for the rest of their life. So far, it’s really, our conventional medical system is amazing for these acute problems. But it’s the wrong tool for the job for chronic problems. So that’s one issue, and it’s really important to point that out, because we just went through the whole healthcare debate again with the Affordable Care Act and the current administration’s proposal for a replacement, which has not come to fruition. But throughout that entire discussion, it really bothered me that there was an elephant in the room. All the discussion was around insurance. Like, who gets insurance and who doesn’t. And that’s important, it’s important to talk about that. But we have to recognize that health insurance is not the same thing as healthcare. Chris: Health insurance is a method of paying for healthcare. And that’s really crucial to get that difference. Because my argument in the book is that there is no method of paying for healthcare, whether it’s the government, corporations, or individuals, that will be adequate and will be sustainable under the pressure of growing prevalence of chronic disease. It will bankrupt all of us. Government, the corporations, individuals, whoever is responsible for paying for the care will not be able to do it unless we can actually prevent and reverse chronic disease instead of just slapping Band-Aids on it. Tony: I think the analogy you gave in the book was rearranging the deck chairs on the Titanic. Chris: Yeah, exactly. That’s the argument about insurance. As the whole ship goes under, sinks under. The other problems you mentioned are very real also. So we have a misalignment of incentives, like the insurance industry, for example, doesn’t benefit when the cost of care shrinks because they only make more money when the overall expenditures rise. So it’s actually not in their best interest necessarily to seek out the most cost-effective solutions. Chris: And then of course, we have drug companies. People are pretty well aware of the conflicts of interest there. It’s in their interest to sell drugs, and even when that’s not in the interests of the general public or the patients or the doctors. In many cases, it’s not in their interest either. So the best example of this is a recent one. We’re in the midst of an opioid crisis, the worst we’ve ever seen by far, and the DEA has been wanting to create new regulations that restrict a pharmacy’s ability to sell opioids in ways that will protect people. So, for example, there was a pharmacy in West Virginia in a town that was tiny. It had like 30,000 people in this town, and they had ordered something like nine million opioid pills in the last year. It was clearly a front, like there’s clearly something shady going on there. There’s no way that 30,000 people in that town needed nine million opioid pills, and yet there are no regulations to actually prevent that from happening. And so, the DEA had proposed some regulations to just safely protect people from that kind of thing. And the Big Pharma lobby basically shut that down and they played a big role in writing a law that limits the DEA’s ability to do that kind of regulation in the midst of the worse opioid crisis ever. And to put this in perspective, we hear a lot about the gun lobbies and their control. They spend about $10.5 million lobbying Congress, I think, per year. And Big Pharma, they spent $250 million. Tony: It’s really tragic. I actually, I don’t think we’ve ever talked about this, but I grew up in South Florida, which was kind of ground zero for the opioid epidemic. And I remember in high school down in Miami and West Palm Beach, and kids would get a hold of a contact or whatever, somebody that had a prescription and basically would end up being a de facto drug dealer vis-à-vis a pill mill, etc. The kid across the street from me died, multiple kids in my high school died, multiple kids went into in-treatment programs, some of them battled addictions for decades. Some of them got out of it. Very few got out of it. Some of them didn’t and have continued to be plagued with either switching from pharmaceuticals to street drugs like heroin, etc., and then we can see what’s happening there. And that’s just one example. If we look at drug consumption in the United States, is it that Americans are just that much sicker and we’re in that much more pain than people in other countries? Because we’re consuming far and away more painkillers than any other country on the planet. And I would venture to guess that you could say the same about antidepressants or ADD medication. It’s very much a case of misaligned incentives. And incentives are working in the sense of the pharmaceutical companies are doing very well. Chris: Yeah. Who are they working for is the question. Chris: We’re the only country aside from New Zealand that allows direct-to-consumer drug advertising, and I think that’s a big part of the problem. But it’s not just Big Pharma. We also have conflicts in medical research that, of course, are related to Big Pharma because they pay for two-thirds of all medical research. We have broken payment models, where there’s no real incentive or reward for good performance, and in fact, you could argue it’s the other way around because doctors are compensated for, usually based on the number of procedures they order and the number of patients they see. So to your point about the doctor in France who is actually incentivized to prevent, rather than just treat disease, we don’t have that at all, it’s the opposite. And so there are a lot of deeply entrenched issues that we certainly need to address, and that’s not essentially what this book is about. There are other books that cover that material really well, and frankly many of those issues are outside of our individual control as clinicians or practitioners. 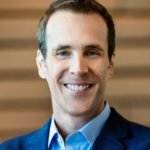 Chris: We can work toward addressing them, and I think we should, but the good news is that I think that the bigger changes that we need to focus on individually and collectively are addressing the medical paradigm which we’ve talked about, creating a medical paradigm that’s better suited to tackle chronic disease. Addressing the mismatch between our modern diet and lifestyle, and our genes and our biology, which we’ve, of course, talked a lot about on the show before. And then creating a new way of delivering healthcare that actually supports this new medical paradigm and this more preventative approach. Because those things are all within our control as clinicians. Tony: Yeah. I like how you posed the question, and it was kind of a cool little, I think it was, not Hiroshi, but the person who is in charge of cooking at a Buddhist monastery. And basically a young monk comes up to this older man. He’s like, why are you doing the grunt work, basically washing rice out in the courtyard? And he says, it was like, what was it? “If not me, who? And if not now, when?” And I think that that’s really kind of the core of setting all this stuff up. Talking about the problem is really in the service of pivoting to the solution, and I’m a big believer in thinking globally, thinking big, but acting locally, hyper-locally, like yourself. Tony: And then the people around you and who you can touch and impact. That’s ultimately where the power comes from. So let’s talk about that. What is in people’s power. And you started to describe some of those pillars of a new model. And you describe it as the ADAPT Practitioner Training Program. And I don’t know how much you get into this on your regular podcast episodes, but to just kind of lay it out, ADAPT from a big-picture perspective. How does that actually address some of these systemic issues from an individually empowered stance? Chris: Yeah, great question, and before I even go into that, I just want to say I agree that I think the change is going to happen on different levels. So, because a lot … we’ve talked about this stuff at conferences or even some people who’ve already read the book. They say, oh, this is fantastic. I’m so excited. But how are we going to deal with Big Pharma and the insurance industry and these misaligned incentives and all of that? And can we ever deal with that? The answer is we’re not going to deal with that overnight and it’s going to take a while to unwind those things. Chris: Exactly, exactly. And I use that analogy in the book. But the good news is that changes can happen very quickly on an individual and local level. And there’s already a lot of evidence of that happening. So my own clinic, CCFM, tripled in size in the last three years alone. We have Cleveland Clinic Center for Functional Medicine, launched by Dr. Mark Hyman, has just blown up like crazy. I mean they started in this tiny space. Now their 17,000-square-foot space, it takes up the whole second floor of the Glickman Tower at Cleveland Clinic. They’ve got a waitlist of 2,500 patients from nine countries around the world. This is really exciting! The Cleveland Clinic is always on the forefront of the newest trends in medicine, and the fact that they’ve invested that much money in this speaks volumes. Then we have groups like Iora Health, an organization based in the Rocky Mountain area that’s reversing diabetes using health coaches. So there are lots of really interesting produced concepts, and there’s going to be more and more of these. Like we’re doing a pilot program with the Berkeley Fire Department where we’re working with their new recruits to help, we’re implementing a wellness program. Chris: To reduce injuries and help with recovery and optimize their performance. And if that goes well, there’s been interest from the wider fire department and in the city of Berkeley as a whole. Robb Wolf’s done some incredible work with Reno that we’ve talked about before. So I think the change is going to happen more quickly on this local grassroots level, and then that’s going to start to get the attention of people on a state and federal level. And then it will start to get really interesting. To answer your question, in my book I basically lay out three core fundamental problems with the healthcare system in the US. And these, I argue, go even deeper than the misaligned incentives and Big Pharma and all of that stuff, although they’re, of course, connected. The first is that there is a profound mismatch between our genes and our biology and our modern diet and lifestyle. And I’m not going to say more about that now because almost everyone listening to this podcast knows exactly what I mean. The second problem is the mismatch between our medical paradigm and chronic disease, which we just talked about. We need a new medical paradigm that is better suited for chronic disease. And then the third is that the way we deliver care in this country is also, it’s not set up to support the most important interventions. And we’ve touched on that too, where the average visit with the primary care provider is just actually eight to 12 minutes. Tony, you were talking about 15 minutes. That’s luxurious in our current model. The average amount of time a patient gets to speak before they’re interrupted by the doctor is 12 seconds. Chris: So I think it’s pretty clear that if a patient has multiple chronic diseases, which one in four Americans now do, one in two has one chronic disease, and they show up to the doctor’s office and they’re on multiple medications, and they had been presenting with a whole set of new symptoms, there’s absolutely no way to provide high-quality care in a 10-minute visit. So we have to change our, not only the paradigm, but also the way that care is delivered. So that was my premise. So it follows then that my solution would address, I would hope at least those three points, right? Each of those three deficiencies. So the ADAPT Practitioner Training Program combines an ancestral diet and lifestyle, which addresses that mismatch between our genes and biology in our modern diet and lifestyle. And then Functional Medicine is the new paradigm of medicine that is based on addressing the root cause of health problems, so we can prevent and reverse them instead of just suppressing symptoms. And then the third component is what I call a collaborative practice model, which links licensed providers like medical doctors, nurse practitioners, with what I call allied providers, which include folks like yourself, Tony, health coaches, nutritionists, personal trainers, etc., to provide a much, much higher level of care than what doctors are able to provide on their own. So, again, we’re not trying to replace doctors in any, or even conventional medicine. We need people to do colonoscopies and remove cancerous tumors and use all of the incredible amount of training and expertise and skill that they’ve acquired over a lifetime of practice and study. We absolutely want that, but we need to add stuff to that that’s not available now. Tony: What that really says to me is, emphasize the importance of community, of connection, of collaboration. We’re social creatures, we’re tribal by nature. That’s another kind of Paleo/ancestral health part of the puzzle. And it would be foolish to think that we can dissect out and silo out all these different aspects of our lives without consequence. I really like this idea of bringing everybody into the fold, and it’s not saying that you can go to just the naturopath, or you can go to just the health coach. Because like I mentioned already, I certainly would’ve been ill-equipped to handle plenty of issues that a client would’ve brought to mind or brought up in conversation during a training session. But it would’ve been really great to say, ah, here’s the Functional Medicine practitioner that I recommend you speak with, and to have a good relationship with that person and to be able to, as a health coach, help my clients better by getting them in touch with the right person. And that’s having this network that can really support people throughout their health journey whether it’s just feeling better and more energy, or addressing something like diabetes or hypertension. Which certainly there’s a place for all the players in that kind of scenario. Chris: Absolutely. And let’s use an example just to bring this to life for people. So, imagine you go to the doctor and they do some blood testing for your annual physical. And they find that your fasting blood sugar is 96 or 97. Your hemoglobin A1c is 5.5, and you’ve got triglycerides that are 110, 120, maybe 130. Currently, what would happen is nothing, usually. Tony: You’re not sick enough yet. Chris: Yeah, all of your markers are within the lab range, they say, and that means you’re normal, and so you might get some vague advice about make sure to exercise and follow a good diet. And thank you very much, that’s it. Certainly there are exceptions to the rule, of course. There’s some practitioners who can get a lot more proactive about that. But I can’t tell you how many people, patients I’ve had that have been given that basic line with those kinds of lab results. What could happen is this. The doctor says, “Well, you know, if we think of blood sugar disorders on a spectrum, on the left you’ve got perfect blood sugar. On the right you’ve got full-fledged type 2 diabetes. You’re not on the right yet, you don’t have type 2 diabetes or even technically prediabetes, but you’re progressing along that spectrum. And what we know from a lot of research is that if we don’t intervene now, that you’re going to continue progressing. And in fact, we have studies that show that the average patient who has prediabetes, will progress to full-fledged type 2 diabetes in just five years if it’s not addressed.” So what we want to do is be proactive here. We want to intervene now because it’s much easier to prevent a disease before it occurs than it is to treat it after it’s already occurred. So here’s what we’re going to do. We’re going to set you up with our staff health coach, and they’re going to give you all the support you need to adopt a better diet. They’re actually even going to take you shopping, they’re going to come to your house and clean out your pantry with you, and they’re going to give you recipes and meal plans and give you … totally hold your hand and do everything that they need to to get you on this diet. Because we know that information is not enough. We’ve got lots of studies. I can tell you as a doctor, go eat a healthy diet, and hey, we know that that’s probably not going to happen. Most people know what they should be doing, but they’re not doing it, and it’s not because of lack of information. It’s because they need support, and we’re here to support you. We’ve got this health coach. Furthermore, we’ve got this great personal trainer named Tony. We’re going to set you up with him and we’re also going to set you up with a gym membership. And the good news is, your insurance is going to pay for all this. They’re going to pay for the health coach, they’re going to pay for the gym membership, they’re going to pay for your sessions with Tony. And in six months’ time, you’re going to come back here and we’re going to retest your blood markers and I can almost guarantee that if you stick with the program, you’re going to have normal blood sugar by that time. And throughout that period you’re going to have weekly check-ins with a health coach, you’re going to have training sessions. And not only will your blood sugar be normal, you’re going to lose weight, your energy levels are going to go up, your sleep’s going to get better, you’re going to feel more confident and empowered because you’re making these changes, and you’re going to feel like a different person. Now that’s totally possible. Chris: The question we should be asking is, is treating type 2 diabetes scalable? Because I mentioned this in the book, it costs $14,000 a year to treat a single patient with type 2 diabetes. So let’s imagine that this patient progresses. We don’t intervene, five years later they have type 2 diabetes. All of a sudden the healthcare system is spending $14,000 a year paying for that person’s care. And let’s say that that person gets diagnosed at age 40, which is still reasonable these days. The age of diagnosis is dropping more and more, and then let’s say that they live until they’re 85 years old, which is also possible because of our heroic medical interventions that keep people alive a lot longer than they might have been otherwise. So 45 years living with type 2 diabetes, that’s a cost of almost $650,000 for one patient to the healthcare system. Tony: And that doesn’t even touch on the lost wages, cost to employers, when someone’s on leave, loss of productivity. And then the cost to the family members. Tony: People that are actually, are helping the patient, their health is going to be going down too. Chris: Yeah. Nor does it touch on the qualitative aspects. Being immobilized, not being able to play with your grandkids, all of that stuff. But let’s just even forget about that for a second—$650,000, okay? And then the CDC recently came out with statistics saying that 100 million Americans have either prediabetes or diabetes, and 88 percent of people with prediabetes don’t even know that they have it. Which means they’re almost certainly going to progress, right? If you do the math and you multiply 100 million people times even $14,000 for one year, you get a number that’s so large, I don’t even know what it is. It’s like a google something. It’s like, it has so many zeros after it, I don’t even know how to characterize it. But then if you multiply 100 million times like 20 or 30 years, it’s more money than there is in the world. It’s like it’s not going to happen. Tony: Not sustainable, not scalable. Chris: Not sustainable, not scalable. So let’s say in our example that we … the healthcare system spends $10,000, which is way more than would be necessary, but let’s even say we buy the person’s groceries for three months. And their gym membership and their trainer, and their health coach, and those weekly, let’s say we spend $10,000. We’re just super generous and we spend $10,000 for that six-month period. Again, the research and my clinical experience indicates with near certainty that if the person is at that stage of not even prediabetic and we intervene, there’s like almost no chance that it’s not going to, we’re not going to be able to normalize that person’s blood sugar. And if they do that and they stick with it and they are able to do that because they now have support rather than just information, we’ve just saved the healthcare system $640,000 over the course of that patient’s lifetime. And that’s a conservative estimate, as you say. We’re not including even the indirect costs. Chris: I think that this is not only possible, it’s going to become necessary. And whether we get there with a proactive approach where we decide to move in this direction and we make these changes or whether we get there because we absolutely have no choice, we’re going to get there. Tony: Yeah. I mean it really sounds like we can’t afford to not do this. Tony: And if we get to that point where we continue down the reactive path and we wait until there’s a total collapse, it might be too late, just to put it frankly. And it’s going to come out at a huge, not just financial cost, a huge human cost. Chris: Yeah, it’s going to be, we can use the chronic disease metaphor again, it’s a lot easier to prevent a problem or reverse it at an earlier stage than it is to wait until the patient is essentially on life support or the healthcare system is on life support. It’s harder to reverse it at that time. And that’s of course why I’m writing the book now because I want to get this message out as far and wide as I can. Tony: Yeah. If not now, when? If not you, who? Go right back to there. Chris: Exactly. And one more thing about that is the amazing thing, the beauty of this is that it takes about eight years and hundreds of thousands of dollars to train a doctor. And it takes a certain kind of personality and a certain kind of comfort level with science, and a lot of prerequisites. It’s not for everybody. And there’s a … already we have a shortage of doctors, and that’s predicted to get worse. I’ve seen estimates that suggest by 2025 we’ll have a shortage of 52,000 primary care physicians. So that’s a big deal. So we already don’t have enough doctors, it’s already going to get worse, but if you think of healthcare as like a … I have something in the book called the healthcare population pyramid. And you were referring to it earlier, Tony, where at the very top of that pyramid you’ve got 5 percent of people who are in really acute situations. So they’re in the hospital or they’re in an intensive outpatient care setting. They need the conventional medicine paradigm as it exists, and it’s fantastic for those situations. Then you’ve got another 25 percent of people in that kind of high middle of the pyramid who are dealing with some pretty serious chronic health challenges. So they require more regular care, but they’re not sick enough to be in the hospital or in any kind of … they’re living their lives, but they’re struggling a lot. A Functional Medicine practitioner/clinician usually working in concert possibly with the conventional specialist of some kind is a really great option for that 25 percent of the pyramid. But then you’ve got the 70 percent at the bottom. So these are people who do, may have health issues, but they’re more minor, so they might have skin problems, or a little bit of brain fog, some difficulties sleeping, some GI issues. And these can be definitely debilitating and total pain, but they’re not at the level of that 25 percent. My argument is that in many cases these people could be very well served by a health coach or nutritionist with good training. And possibly seeing a Functional Medicine provider once or twice a year, or something like that. And the thing is, we can train people in a year or two without an extensive science background to be very, very objective in this role. Because they’re mostly working with patients on changing their behavior. If you think about it, most of the risk factors for chronic disease come down to the wrong behaviors. Eating the wrong diet, not getting enough sleep, not exercising, or exercising too much, or any number of things that come down to choices that we’re making. And so if a skilled health coach who’s trained in things like motivational interviewing and coaching to strengths and other evidence-based principles of facilitating behavior change which we have a ton of research on, they can be incredibly effective for that 70 percent of the population. That’s the majority of the population. So we’re totally underutilizing these practitioners, and my argument is that they’re going to play a huge role in this future of medicine. And that’s of course one reason why we’re launching an ADAPT Health Coach Training Program next year to complement the practitioner training program that we’ve been doing. Because I want to create this ecosystem we’ve been talking about where you have all of these different types of practitioners working to the maximum of their training and ability and scope of practice and supporting each other and therefore providing the highest level of care to patients. Tony: That certainly kind of perks my ears up hearing about the ADAPT health coach option and something that I’m personally interested in. So who knows? Maybe I can get in on that. We can talk about it again in the future. Chris: Yeah, for sure. For sure. Tony: So, for this particular book, for Unconventional Medicine, people are fired up, they’re hearing about it, they’re like, “Okay, this resonates with me. I’m a practitioner, I’m an allied health provider, I’m a patient, I’m ready. Now’s the time. This is it. We’re going to do this.” What’s the best way for people to get their hands on this thing? Chris: Well not surprisingly, Amazon. They have the best way to get your hands on anything. So it’s available in paperback, Kindle, and audiobook. We’re hoping [the audiobook] is going to be out today, the day this podcast is released. But it might be another two or three days. They’re just taking their sweet time to approve it. I narrated the audiobook myself. So you podcast listeners, I figured you might be into that, since you like to listen. Tony: They know your voice. Chris: Yeah, exactly. All of our ancestors died when they were 30, so why should we even care? How do you respond to those arguments? Or if you start talking about Functional Medicine and maybe one of your conventional medicine colleagues says, “Oh, that’s just, I saw something on Science-based Medicine that said that was all just hooey. There’s nothing to it. How do you respond to that?” So what we wanted to do is give people the ammunition they needed in a respectful way. You know, this isn’t about getting the better of somebody. It’s about responding in a factual and convincing but respectful way. So we’ve got two different, we’re calling these the Power Packs. And one is for practitioners, so clinicians, health coaches, nutritionists, trainers, etc., and these are facts, research that you can reference and persuasive reasons for your clients or patients or colleagues to consider this Functional Medicine and ancestral diet and lifestyle approach. And then we have one for non-practitioners called the Supporter Power Pack. And these are smart answers and compelling comebacks, again respectful, for those common objections that you hear when you start talking about this stuff with your friends and family. So these bonuses are available until Sunday night [November 12, 2017] at 11:59 p.m. Pacific Time. So you’ve got a few days to act on that, and you can go to … we set up a special link for you to get these and that’s Kresser.co/bonus. That’s Kresser.co/bonus. So head over there to get your Power Packs and your free audiobook, and that’s after you purchase either the paperback or Kindle. There’ll be a place where you enter your order number and we ask for some information just to verify, and I hope you enjoy those and get a lot out of them. Because they were actually really fun to put together. Tony: Yeah, I think the audiobook is huge. I like to listen to audiobooks when I’m driving around town or outside getting some exercise. Tony: So, no excuses when you make it that easy. Chris: Yeah, yeah. So, Tony, thanks so much for doing this. This has been really fun to talk to you, as it always is. And I appreciate it. Tony: Actually, I wanted to throw in one extra little special thing, as we mentioned, at the top of the show. I spent 10 years as a personal trainer in the trenches, I was involved with Paleo Magazine for many, many years, going to all the events, and for me kind of an evolution in my professional life was, how do I impact more people? How do I help more people? And at first I was working one on one, and then it was as a facility manager helping other trainers and coaches get better. And then I was able to scale it up that way. And last year I had an opportunity to join the team over at Natural Force, which is all-natural, nutritional products, and I basically said, “You know what? I’m going to go all in on this because if I can touch a million people through really good, high-quality nutrition, that’s me maximizing my impact and really kind of living my purpose.” So one of the things I wanted to do today is put it out there for anyone listening who maybe uses collagen or MCT oil or whey protein. We really bend over backwards to source the best ingredients in the world, no additives, all that stuff. Everything is as clean as we can possibly make it. It takes a lot of work, working with manufacturers. Kind of like what you were saying, how patients have to know how to talk to their doctor. I don’t think people really realize, and I didn’t realize until I got on the inside, how much work it is for a brand to work with their manufacturers to convince them to get outside of the conventional mold. So it’s the kind of unconventional nutrition is really what we’re pushing here. So I set up a discount code for any Revolution Health listeners. Go to NaturalForce.com, use coupon code “unconventional” and get $10 off plus free shipping on your order. So I just want to put that out there as just a little extra bonus for anybody, and I would certainly love to help in that way and really get some good, high-quality nutrition into people’s hands. Chris: Awesome. Yeah, and there’s so many ways people can help, and I … at Paleo f(x) we’ve see the growth of companies that are serving this space, and it’s amazing. Like the products that are available now. I had breakfast this morning, I had some eggs and kale and parsley and a little bit of bacon in a couple of cassava flour tortillas. Breakfast burritos. Whoever thought I’d be having a breakfast burrito again? Tortillas are made from completely cassava flour. They’re autoimmune friendly and they’re grain-free tortillas. It’s incredible. Tony: I think I might have some of those in my fridge as well. Chris: Yeah. I mean there’s so many things. And these people, they’re serving this movement with that kind of work. So it’s great to see. Tony: It takes a village, man. Chris: It does. Thanks again, Tony. I really appreciate it. Thank you, everybody. 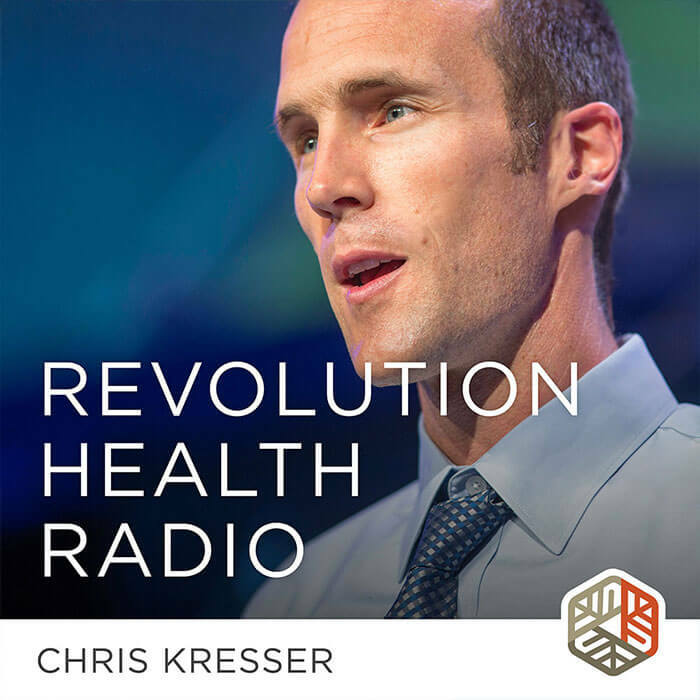 So again, Kresser.co/bonus to pick up your free audiobook and the other bonuses, and I hope you can all join me in this revolution to reinvent healthcare. We need you, whatever your background and goals. Take care, everybody. A career in health coaching could change your life. Find out more about the ADAPT Health Coach Training Program. For as long as I can remember, I have been interested in what I now know is functional medicine. Even as a teenager I was always intrigued by preventing things like heart disease and obesity. Flash forward 15 years to present day: I really love what you’re working towards and want to get involved. I’m currently an acute care RN at an academic hospital with some of the sickest patients in the country (literally- there was a study done and among academic hospitals, ours had the highest acuity). I know this isn’t the right setting for me and it’s exhausting taking care of patients who either don’t want to take care of themselves or I see all the time coming in for the same complications of chronic diseases. It’s hard for me even giving patients things like blood pressure medications (not being used for something else like CHF) because I wholeheartedly feel like there is a better way to treat their hypertension! At this point, I know I want to leave this setting in the next few years and get more into functional medicine, but I honestly have no idea where to start and how my nursing skills would be useful. I’ve been seriously contemplating the NTP program through the NTA, but I don’t want just to completely give up being a nurse. I worked really hard to accomplish that and I’m very proud of it, but seeing as how I don’t personally have a desire to go back to school to be a NP I’m not sure what role my current scope could play in functional medicine. I would also be a bit nervous to do a functional medicine program and take on the role of being THE provider for people- that seems like muchmore responsibility that I have now, which can be stressful! And one other random thing- I have a terrible memory! Regardless of what the information is, whether it’s a conversation I had with someone two weeks ago, a concert I went to five years ago, state capitals, functions of vitamins and minerals or pharmacokinetics (don’t worry- I always look these things up at work so I sort of know what I’m doing in the short term! ), very little seems to stick. Knowing this about myself makes it even more daunting to try to do something in ththat functional medicine realm since it seems like there is a lot of recall involved. I’m also not going to lie that nursing does pay pretty dang well, and I live in (and love) an expensive city so too much of a pay cut and I would be in a very tight place financially. Now that I’ve written my own book for you, I’m not sure if you have any advice or insight but anything you can offer would be so appreciated! Thank you in advance for even reading this! There was a great episode of the Freakonomics Podcast that talks about a small healthcare change to allow for more Nurse Practitioners to do what is only legally allowed by expensive and shrinking primary care physicians, is at odds with interests of the lobbying power of the AMA. Really enjoyed the interview and no doubt most people would benefit from some degree of intervention. I believe we need to go back to teaching our children proper nutrition, banning advertising targetted at children and the demolition of all drive through windows! Good luck with the those! Unfortunately there are now a couple of generations raised on SAD who need to be re-eduacted. 80% would likely do well with being provided basic information and taking a 30 minute walk each day rather than needing a health coach (isn’t this what registered dieticians were supposed to do?) and getting a gym membership that they would ignore in a few months time. This is where I fit in and managed to turn my life around as I neared 60. Fortunately I had the memories of when I ate healthy and exercised as a child (although I took up smoking which I quit 25 years ago). The other 20% would require intensive coaching and other resources but realistically speaking it is not possible to help everyone.